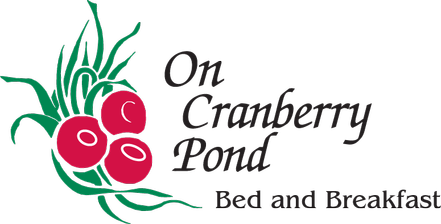 One glance and you will understand why the Cranberry Room is a favorite of our many repeat guests. This expansive 362-square foot room boasts a private, full-size bath with tub and shower and a large walk-in closet. Rich greens and warm cranberry accents complement the traditional New England scene which is just beyond your private sitting area. Watch the sunset over the beautiful cranberry bog, glimmering pond and thick stand of pine trees or sip your first cup of coffee in the tranquil early morning. The room also features a 32-inch flat screen television with complementary cable TV, WiFi, refrigerator and Keurig coffee maker with a choice of coffee. Our gourmet breakfast is included.